Welcome to VA Mortgage Hub, we are proud to offer the latest VA home loan information serving military veterans across the nation including Florida, Texas, California, Arizona, and Illinois. Whether you are searching for VA Purchase, VA Refinance or VA Jumbo loan, we are sure you will find the information on our website useful. The VA loan program is a government mortgage program backed by the U.S. Department of Veterans Affairs and provides a number of homeownership opportunities with no down payment needed. This government-backed home purchase program is available to active duty military personnel, honorably discharged veterans and their widows. This is one of the few remaining mortgage programs that still allow home buyers to purchase a home with NO MONEY DOWN. Regardless of your credit, financial or mortgage knowledge, VA Mortgage Hub is always happy to assist you 7 days a week. We take the time to answer all your questions and educate you about the wonderful advantages of VA home loans. If you are looking for information on government mortgage options, you have come to the right place! More than 29 million veterans and military service personnel are eligible to receive a Veterans Assistance (VA) home loan. The VA mortgage program was established to provide financial assistance in purchasing a home with a limited or no down payment. However, many Americans that qualify for this beneficial home loan never take advantage of it. For qualified applicants, the VA guarantees 100% mortgage amounts up to $484,350 (greater in select high costs locations) This means eligible vets can purchase a home with NO money down and NO monthly mortgage insurance. The VA loan program also allows for seller contributions toward buyers closing costs. Special VA Jumbo mortgages are also available for qualified home buyers in more expensive housing locations around the U.S. The VA Jumbo loans are available up to $1.5mil loan limits. Please read the VA Jumbo Loan Guide here. Questions? Please submit the quick Info Request Form on this page to have a specialist contact you 7 days week. Please reach out to us today for assistance by calling the number above, or just submit the Info Request form on this page. Low interest rates set by approved lenders, banks and mortgage brokers. VA rates are often times lower than conventional, FHA or USDA mortgage programs. In fact, VA interest rates are some of the lowest rates available today. NO monthly mortgage insurance (PMI) like other home loans. This alone can save home buyers hundreds $ each month on their mortgage payments. Qualifying with a low credit score is possible. * Current min is 620. 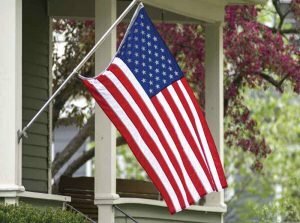 Eligible active duty and Vets can use their home purchase benefits multiple times. VA Jumbo Loans available in all 50 states. The program can be used to purchase any new or existing home. Please note we currently do not permit mobile-manufactured homes. Whether you are purchasing a home or refinancing your existing home, we can help! Please click the VA Purchase and VA Refinance pages above to learn more. U.S. Government-backed 100% VA financing, historic low-interest rates, and affordable property values make this a great time to purchase or refinance. Have questions or need a quick mortgage rate quote? Reach out to us 7 days a week by calling Ph: 800-691-8826 Loan applicants can also expedite their request by submitting the short Info Request Form on this screen. We strive to respond to all submitted requests within 15 minutes during normal business hours. See why VA Mortgage Hub is the nation’s most trusted VA loan resource. We are always happy to answer your questions about interest rates and lender pre-approval requirements.